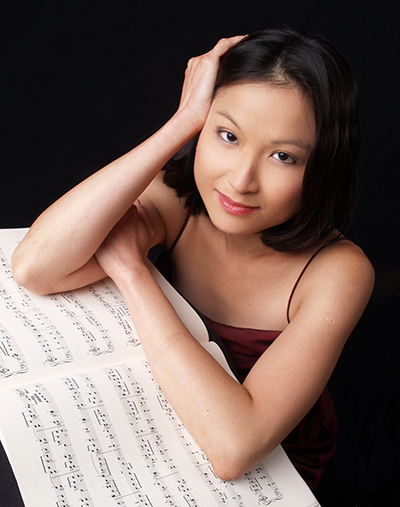 Dr. May Phang is a prizewinner of several competitions including the Chopin Young Pianists' Competition in Buffalo NY, Canadian Music Competition, Concours d'orchestre symphonique de Montréal, and Pontoise International Young Artists Competition in France, Dr. Phang has performed with orchestras such as the Banff Chamber Players, Singapore Symphony, Montreal Symphony, and the Philadelphia Orchestra. Radio and television appearances include profiles on Singapore Broadcasting Corporation's "Life and Times" and "Arts Around" and broadcasts on Radio-Canada, Vermont Public Radio, WFLN, Philadelphia and WFMT, Chicago. An active music educator, she has been a teaching artist with Young Audiences of Indiana, adjudicated various competitions and given masterclasses and presentations at various institutions.